On the occasion of World Elder Abuse Awareness Day on 15th June 2008, Silver Innings, A Dedicated organization for senior citizens and their family members will be commemorating World Elder Abuse Awareness Month from 1st June to 30th June 2008. It has taken the initiative to make a petition which will have recommendations to the Government and the society to eliminate elder abuse at both micro and macro level. 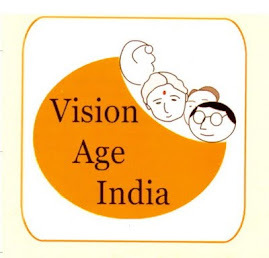 We are also trying to network with organizations working with elderly in Mumbai and all over India. World Elder Abuse Day programme aims to increase society's ability, through various programmes, to recognise and respond to the mistreatment of older people in whatever setting it occurs, so that the latter years of life will be free from abuse, neglect and exploitation. 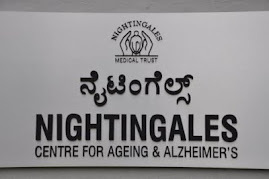 In order that this issue is adequately highlighted, Silver Innings is planning to organize various activities for the month of June and reach out to elderly people themselves and also to other age groups for spreading awareness regarding what constitutes elder abuse and the different types of abuse which take place in society. 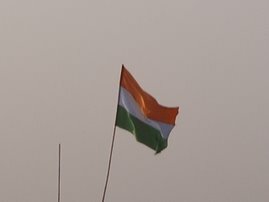 Our activities will start on June 1 and will end on 30th June 2008. • To create awareness in elderly people themselves regarding what comes under elder abuse. • To sensitize young people regarding elder abuse and enabling them to reflect on their own attitudes towards the elderly. • To bridge the intergenerational gap between elderly and young people. • To create awareness in media and society at large regarding elder abuse. 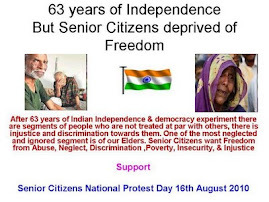 • To Publish Three Best Essay on Elder Abuse on www.silverinnings.com (we had Invited Essay on Elder abuse) on 1st June 2008.